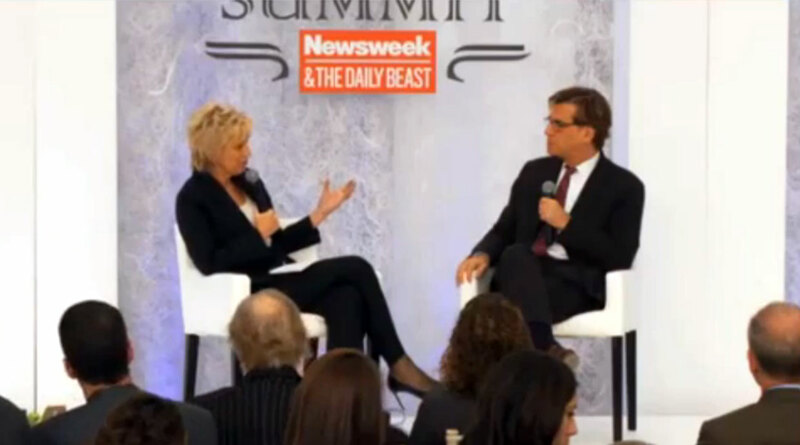 Aaron Sorkin, who is writing the upcoming Steve Jobs biopic, revealed some details of the film while speaking at The Daily Beast’s Hero Summit. The film will take place over three scenes, each thirty minutes long, and all told in real time. Each scene will be backstage at a different product launch, the original Macintosh, the NeXT cube, and the iPod. If these detail hold together, this will be an altogether different film than what many were expecting. We can’t say with any certainty what the narrative content of these scenes will be. His previous film, The Social Network, told a fairly linear story using the framing device of a legal negotiation set after most of the action in the movie. Backstage at a product launch sounds like a similar device at first, but Sorkin says that these three scenes will comprise the entire movie. With the setting confimed but with no inkling of content, we’ll have to wait a bit longer to see what Sorkin’s take on Steve Jobs will be. Also of note, Sorkin reveals that Jobs asked him to help with Jobs' famed Stamford commencement address, and to write a Pixar film.